Despite the rain, the traffic moved at an easy pace like the red sea parting for them, delivering Persephone up to whatever dark fate awaited her. Another strangled sob escaped her control. Her hands had started shaking on her lap. But otherwise, she was silent. She had to think. There would be a moment. She had to wait for that moment so she could get away. Despite his coldness, Persephone’s skin felt burned under his touch. Okay, where was he really taking her? Some dank basement somewhere? A mysterious concrete compound? A cabin in the woods? Where did a guy like this like to hole up? It was a really nice car. And a really nice, well-tailored suit. This guy, crazy or not, had some money. And that scared her. It was bad enough to be kidnapped by a crazy man. It was far worse to be taken by one with resources. He stopped in front of the Empire State Building. There was an empty space right there in front of the building for him to park. What? Persephone shook herself again. Why was he stopping here, and why on earth was there just some place for his car, as if by magic? No. She was not going to be sucked into his delusion. Hades got out and came around to her side, helping her out of the car that wasn’t his car. No people again outside. The rain was still coming down hard. Maybe they were all inside, sheltering in place. He gripped her wrist again and led her into the building. To her absolute and utter delight, there were people inside. Crowds and crowds. And security. She was going to get away from this guy. It was all going to be okay. But no one moved to help her. No one even turned when she screamed. “I thought you might try that. You can scream all you want. They can’t hear you. They can’t see you,” Hades said. “H-how? How is this happening?” Just a few more minutes. I’ll wake up. Despite the ineffectiveness, Persephone continued to scream for help. Still no one noticed her. No one noticed that a handsome, swarthy lunatic was dragging her through the building while she fought and struggled and screamed. “I’d hate for you to wear yourself out this early,” Hades said. “You’re going to need all your energy where we’re going.” He dragged her down a hallway to a service elevator. An employee followed in behind them and pushed the button to the very top. The 102nd floor. “We’re going to 103,” Hades said, conversationally. Persephone ignored that craziness and turned to the employee. “Hey! Help me! Can’t you see me? You have to help me get away from this man.” She was screaming at the top of her voice, but still the employee seemed as though he were deaf or ignoring her as he watched the buttons light up on the way to the top. She hauled back and punched the guy in the shoulder. He jumped, rubbed his shoulder and looked around, spooked. He was too uncomfortably close. Persephone felt enveloped by him. And for the first time, she felt he was something other than crazy. He was something dark and powerful and determined. 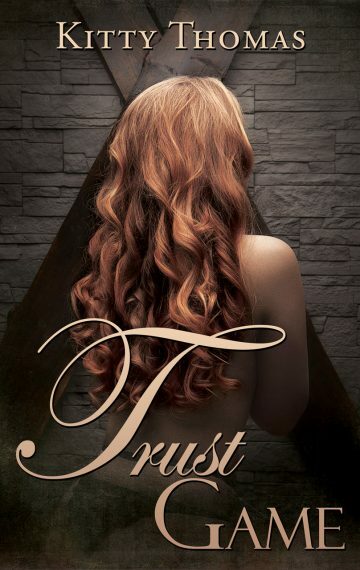 She felt a hard block of muscle pressed against her back as he held her close to his chest. The employee’s eyes darted around the elevator, unable to see that a big, terrifying man was holding someone captive mere feet from him. He turned back to the panel and pushed a button for a lower floor. The elevator stopped a moment later, and the guy couldn’t scramble off fast enough. When the doors closed again, and the elevator resumed its ascent, Hades released his hold on Persephone. She backed away to the farthest corner from him and squeezed her eyes shut, trying to block everything out. Could this man actually have some legitimate magic powers? She felt crazy even thinking it. No. It’s a dream. When she woke up, she’d spend the whole day laughing about this. Lynette would love this story. And yet… until she woke, all of this felt a little too real. The elevator stopped at the observation deck. Hades dragged her out and took her to the right and pushed her through another door so fast she didn’t have time to scream at this set of tourists for help. Now they were in the belly of the building—the secret parts no one ever saw. She didn’t see another balcony. Instead he pulled her through a labyrinth of pipes and electricity boxes. “Climb,” he ordered pointing to a terrifyingly tight steel thing that was halfway between a stairway and a ladder. She shook her head frantically. “I-I can’t. Please, I can’t.” It was just too high. When he’d first dragged her onto the elevator, she’d thought they were going to the top observation deck, which though frightening, was enclosed by a safety fence. What if there was no fence where he was taking her? As if there were any reality in which that could be a comfort. She did all she could do under the circumstances. She climbed. At the top, her worst fears were confirmed. It was a cramped balcony with a railing only a couple feet tall around it. She could easily stumble over it to her death. Or be pushed. If possible, the sky had grown even darker, nearly black as if it had become night already. The only light came every few moments as lighting streaked by, thunder chasing at its heels. “We have to jump,” he said. “Jump?” She couldn’t back away from him. There was nowhere to back to, except over that tiny ledge. 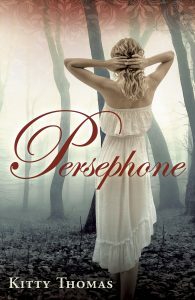 Persephone had already returned to denial about the things she’d seen. The silent street. The crowds who couldn’t see or hear her. She couldn’t have seen what she thought. It just wasn’t possible. Now she was back to: crazy man wants to jump off the Empire State Building—and drag her along for the ride. He grabbed her hand and brought her to the ledge. Her heart pounded in her chest and head and throat as she stood with him looking down from dizzying heights to the street far below them. “Y-yes,” she gasped. She tried to pull out of his grip to get away from the edge. No amount of self talk that she’d wake up seemed to be penetrating the fear now. “I hear exposure is the best cure.” And then he jumped, pulling her with him over the side of one of the tallest buildings in the city.